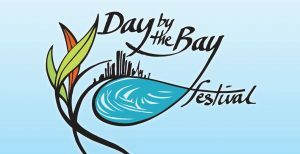 The Living Links region (the Dandenong Creek catchment) flows into Port Phillip Bay, so we are very happy to be taking part in the inaugral Day by the Bay festival being organised by Remember the Wild! Come down to Mornington Park on the Mornington Peninsula for a day of music, food and experiences for all ages as we celebrate the life of Port Phillip Bay, and those working hard to care for it. Mildlife, Baptism of Uzi, Empat Lima, Jess Ribeiro, Jaala (solo) and FERLA will bring the festival to life while visitors have the chance to meet local conservation, sustainability and clean-up groups, learn about their connection to Port Phillip Bay, take part in activities and pick up locally-made wares. Please note this event is family-friendly and alcohol-free. We will be minimising the waste footprint of this festival with help from the legends at B-Alternative.